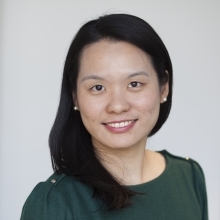 Bowen Gu is an Investor Engagement Researcher in the Strategy Team of the Access to Medicine Foundation. Bowen has five years’ experience in responsible investment. She joined the Access to Medicine Foundation upon completion of a German Chancellor Fellowship looking into the European responsible investment ecosystem in comparison with China. Prior to this, Bowen worked as a consultant with CSR Asia in Hong Kong and as an analyst with the ESG research provider Sustainalytics in Singapore. Bowen holds a Master’s Degree from the Erasmus Mundus program in Environmental Sciences, Policy and Management (MESPOM) and a Bachelor’s Degree in Mathematical Sciences from Tsinghua University in China.